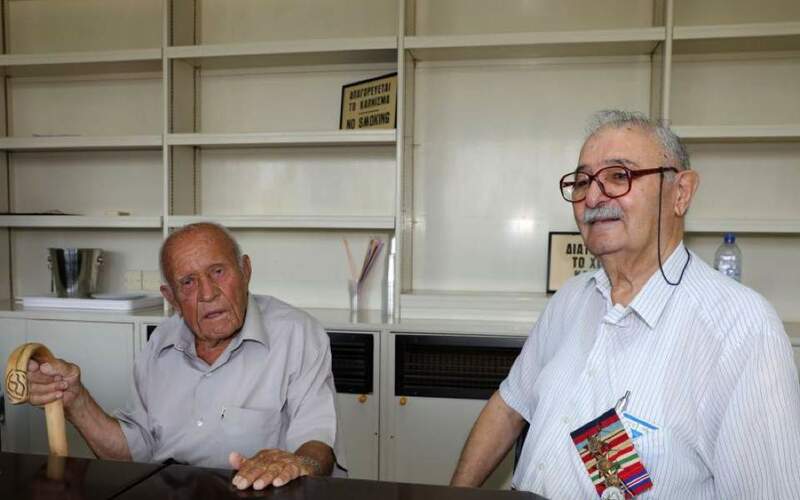 Two World War II veterans, a Greek Cypriot and Turkish Cypriot who fought together in the war, met once again in Nicosia 70 years later. Between 1946 and 1948, after the end of WWII, 92-year-old Menelaos Kouzoupis from Agios Fotios and 95-year-old Kemal Salih from Falia, returned to the island and lost track of each other. They both hailed from Paphos, with their villages only three kilometres apart, and they were reunited with the help of mutual acquaintances. 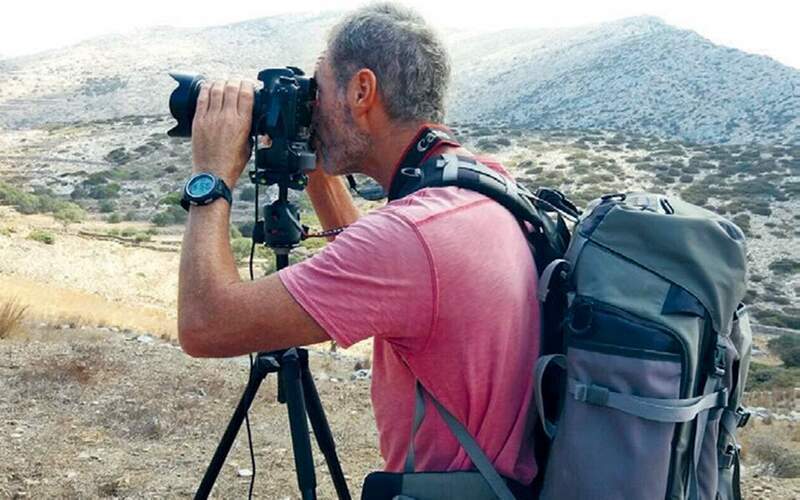 The meeting took place in Nicosia recently, with the two men sharing their most vivid recollections of the war, recounting even the day they enlisted in Choulou, Paphos district, on 29 June 1944. Kouzoupis was almost 17 when he enlisted, remembering he had to lie about his age both to his grandfather and the British who administered the island at the time, otherwise he would not have been permitted to join the war. 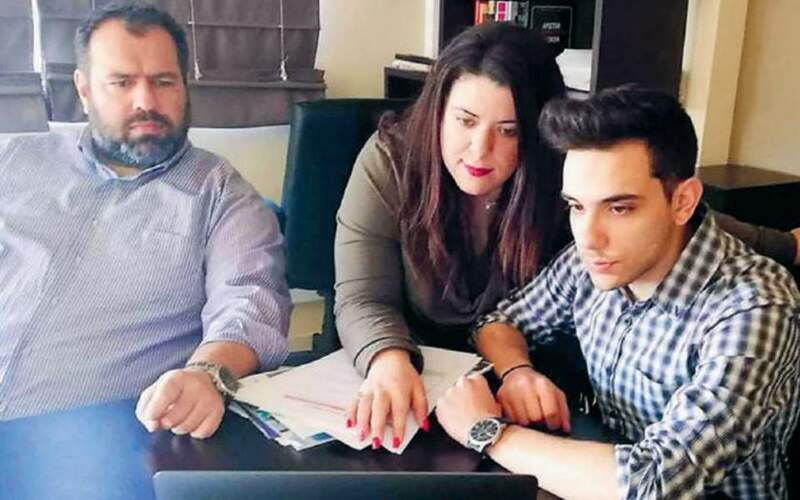 The Greek Cypriot also remembered the two recruits slept in the same tent during their training days at the Polemidia boot camp, where they departed for Syria, then on to Gaza and Italy. “Italy was a vast place,” Salih remembered. The two war vets did not appear particularly optimistic about a settlement of the Cyprus issue. However, both said adamantly that people from both communities could live together again if a solution could be reached. 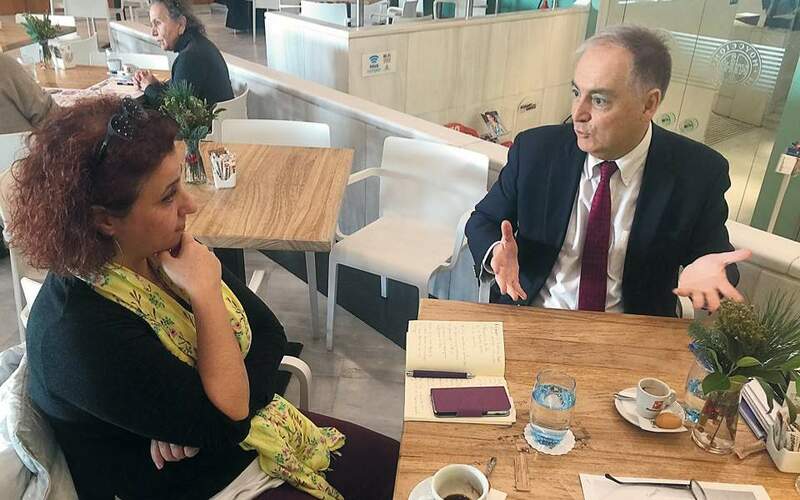 “I believe foreign influence got us into fighting one another, we had no disputes, us Greek Cypriots with Turkish Cypriots, we lived just fine,” Kouzoupis said. “That’s right,” Salih added, saying Cypriots would manage if the British were out of the picture.